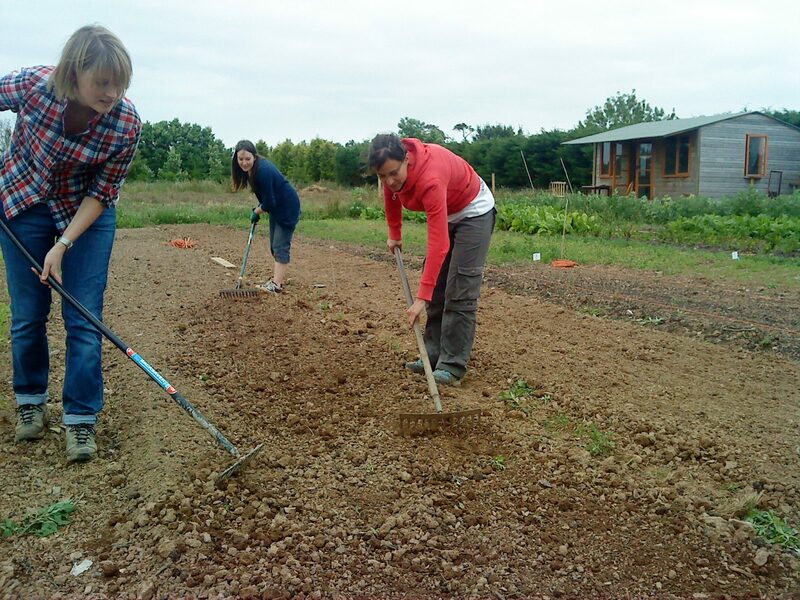 The growing team has been kept well occupied over the past two Sundays preparing beds, sowing beetroot and carrots, and hoeing the borage. We’ve also cleared the last of our own broad beans, which have gone over. If we get a good downpour we now need to mulch the celeriac, celery and sweetcorn with the green manure which was cut recently. We’ve had a good wet spell so it is an ideal time to do this. It will help the soil to hold moisture and improve the soil structure as the green manure decomposes, not to mention reduce weeding!